How gorgeous is this daisy wreath made from burlap? I haven’t seen another wreath like this before so I definitely had to share it with y’all! 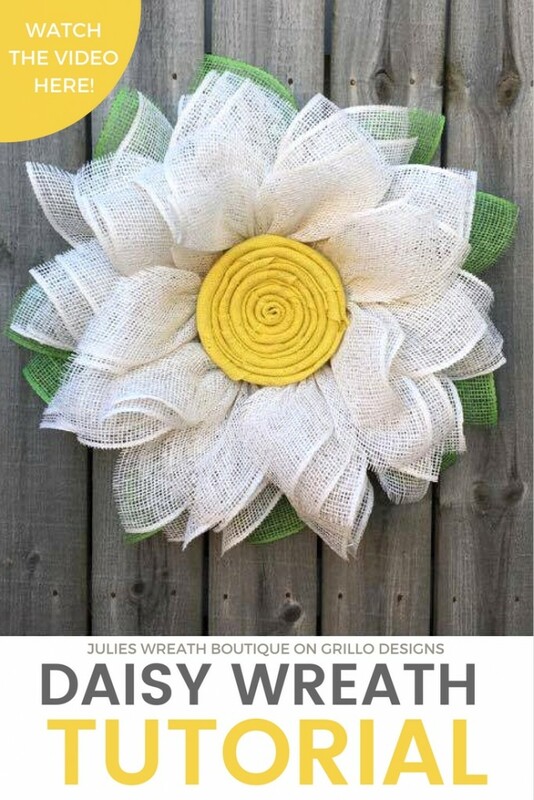 Julie from Julies Wreath Boutique shared the tutorial for this project on the Grillo Designs blog.